On May 12, I am going to get a manicure and a pedicure. I do this once a month. But on May 12 it will be a special event. My husband’s mother, Lee, would have been 90 years old on this date. She died when she was only 59. Before I met my mother-in-law, I did not know anyone who went for weekly manicures. But Lee did. 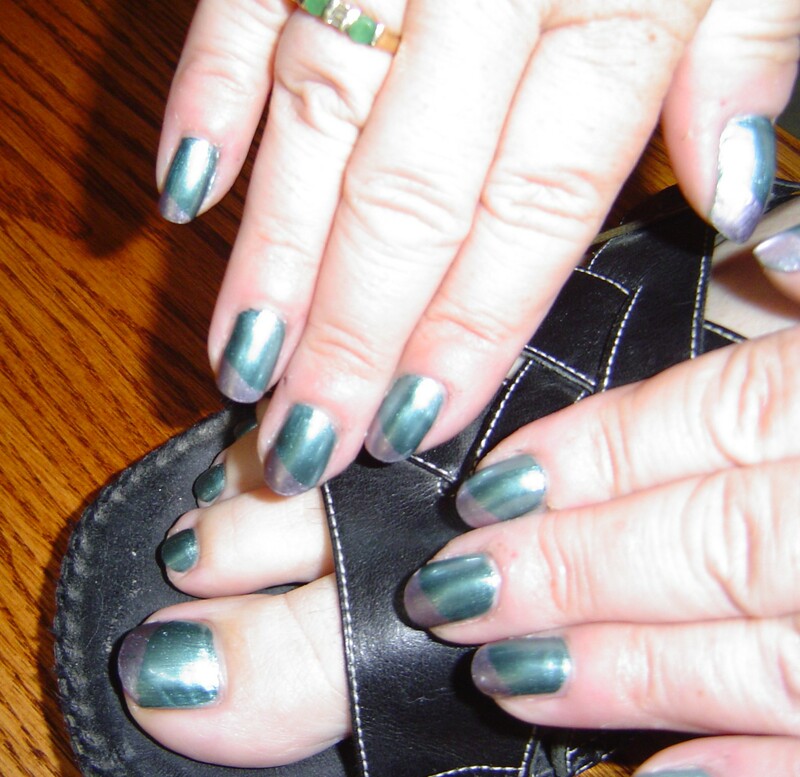 Each week she got her hair put in to a French knot and had bright red polish put on her nails. She had beautiful hands and nails. I was a nail biter. The only time I ever had a manicure was the week before my wedding and on my wedding day, in an effort to stop me from this awful habit. It worked to a degree. And Lee encouraged it. She would occasionally take me for a manicure when we were in town visiting. When she was in her last months, the lovely woman who had done her hair and nails for so long, would come to the hospital once a week to wash her hair and do her nails. She told me that as long as she could, she would help Lee feel beautiful. She did this for the last three months of Lee’s illness. What an angel! So on May 12, my mother-in-law’s 90 birthday, I will get a manicure and pedicure. It is not an unusual occurrence. I go every other week to have a manicure and I go monthly for a pedicure. But this time, when I am 60, I feel it is important to celebrate her 90th birthday and Mothers’ Day in a way that will connect me to her. My daughter used to model bridal gowns. This was one of her favorite mani/pedis. Having a manicure is a way to remember Lee. I took my daughter for her first manicure when she was seven. She is named for her grandmother, so I thought she should experience a manicure at a younger age! We put a tiara on her head and made her feel special. She loved to go. When she was a teen, she often wanted purple polish or even different colors on every other nail. She modeled wedding gowns while in high school, and would get demure polish then. To this day, my daughter still loves to get a manicure, but no bright reds for her now! She is into the more quiet French tips, where clear polish is put on the nail beds and only white or pale pink is put on the tips. When my mother would come to visit me, I always took her out for a manicure. My mother never took the time for this pampering when she was home. She did all her manicures by herself. She only went to a salon twice a year, when she visited me. She loved going, but felt with her arthritis, it was not worth it. However, whenever she went she felt great! To me it was a gift I could give to my Mom. But for me, a manicure was a must. I have been going to the same person, Mary, for over 25 years. I was one of her first clients. And when she moved into her own store, Old Town Hair and Nails, in Lenexa, KS, I followed along. She has polished the nails of my Mom, my daughter and even my sister, who I recently took to the salon. One of my more colorful mani/pedi. The pampering of a manicure was something I learned from Lee. Twice a month, I sit with a woman who has basically shared my life with me. We talk, we have silent times, we visit. I do not answer the phone, (unless it is my children). I chose a color to fit my mood. Sometimes I chose a pink or a coral. Other times I am bold with a blue! Other times, I have sparkling tips put over the basic color. And some times, I have one nail on each hand polished slightly differently. I am not sure if Lee would have liked all these variations. She liked the same color every week — the same bright red. But it does not matter. This May, a few days after Mothers’ Day, I will be remembering my husband’s mother with a manicure and pedicure. And in my heart wishing her a happy 90th birthday.